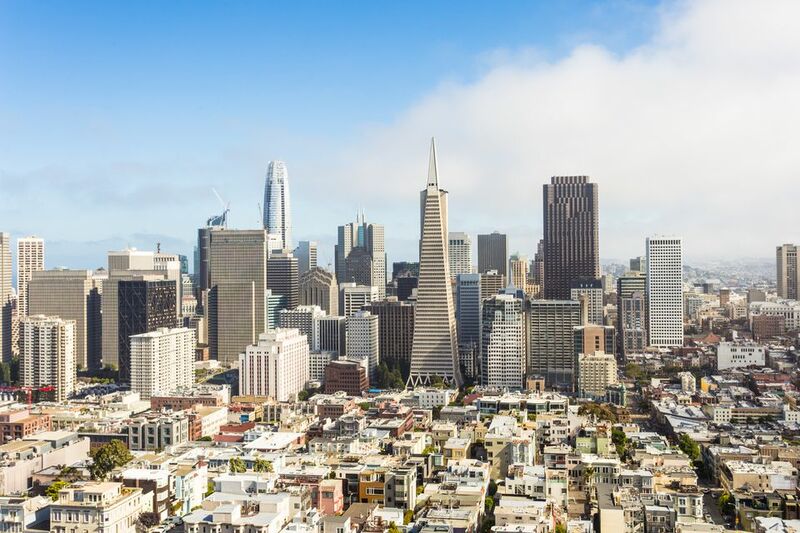 San Francisco is a shopper's haven, home to luxury retailers, designer boutiques, and everything in-between. Whether it's locally made jewelry or Kiehl's body lotion, here's a complete guide to finding what you're looking for and a whole lot more. Although downtown's Union Square is the heart of San Francisco shopping, each of the city's distinct neighborhoods offer their own array of shops and styles. It's part of what makes shopping in San Francisco so fun. Your best bet is to grab a map and start marking locations you'd like to visit. Then hop in a carshare or aboard one of the city's MUNI trains and/or buses and make your way toward the shopping centers or main streets that call to you most. Bags in San Francisco cost a nominal fee, so it pays to carry a few of your own. Westfield San Francisco Centre: Tucked along Market Street across the street from the Powell Street Cable Car Turnaround, the Westfield San Francisco Centre is a retail hub for both locals and tourists alike. The multiple-story space features dozens of popular retail stores such as J. Crew, Clark's shoes, Camper, and H&M, luxury shops like Rolex, and Tiffany & Co., a towering Nordstrom department store, a gourmet food court and bevy of stand-alone restaurants. There's even a multiplex movie theater. Stonestown Galleria: On the city's southwest outskirts just up 20th Avenue from San Francisco State University, Stonestown is SF's standard shopping mall: with ample outdoor parking and a two-story stretch of shops that include an Apple Store, Lululemon, Forever 21, and Target, all anchored by a Nordstrom department store. Food court offerings are the standard mall fare (think Chipotle and Panda Express), though there's also an Olive Garden for sit-down dining. Japan Center Malls San Francisco: At the center of San Francisco's Japantown, on either side of the neighborhood's landmark Peace Pagoda, are the Japan Center Malls—three malls (Kinokuniya Mall, Kintetsu Mall or “Japan Center West,” and Miyako Mall or “Japan Center East”) filled with popular Asian shops and eateries. K-Pop Beauty is home to a selection of Korean cosmetics; Daiso is brimming with dollar-store-style gifts like slippers, stationary, and bento lunch boxes; and everything in Akabanaa comes from Okinawa exclusively. Dining options run the gamut from Benihana to restaurants serving up crepes, Korean barbecue, and okonomiyaki. Embarcadero Center: Just off from San Francisco's Embarcadero Waterfront (and minutes from the Ferry Building), San Francisco's Embarcadero Center is an open-air mixed-use shopping plaza spanning four blocks. Shops here include retailers like Anne Taylor, Banana Republic, and Sephora, with ample eateries and lush urban patios perfect for shopping breaks. Along with a seasonal holiday ice rink, the center's state-of-the-art Landmark Cinema is a significant draw — showcasing some of the top independent and foreign language films, and hosting a weekday happy hour in its lounge. Ferry Building Marketplace: If you're shopping for culinary wares, gourmet snacks, or local food items, San Francisco's beloved Ferry Building Marketplace is your destination. Restored and opened in its current form in March 2003, this public food market is a one-stop shop for artisan cheeses, wine, hand-blown glass candle holders, locally-made ceramic tableware, honey, books and other seemingly endless offerings. Sprinkled with popular eateries and coffee stands throughout, and with a prime Embarcadero waterfront location that still welcomes ferries, the Ferry Building Marketplace is as much a stand-alone attraction as it is a must-visit shopping locale. Union Square: The Mother of all San Francisco shopping experiences, this is where you'll find anchor department stores, flagship shops, and retails associated with urban living. Think Sax Fifth Avenue, Vera Wang, Tory Burch, Burberry, etc. Pacific Heights: High-end fashion retailers, luxe home furnishings, jewelry showrooms, and stylish boutiques line Fillmore Street; while Sacramento Street (between Broderick and Spruce streets) features art galleries, design shops, toy stores, and ample hair, skin, and nail salons. The Marina/Cow Hollow: A mix of upscale consignment shops, upmarket retailers, and fashionable boutiques, interspersed with plenty of restaurants and cafes. Union and Chestnut streets are its main shopping locales. The Mission: Locally made wares—everything from earrings to wall art—innovative designer fashions, modern homeware and furnishings, and DIY works are the norm is SF's always-exciting Mission District, the perfect stop for that one-of-a-kind find. While Valencia Street is the neighborhood's prime shopping thoroughfare, 24th and Mission streets and lined with discount shops selling piñatas, Lucha Libre masks, and colorful paper cuts. Hayes Valley: Lavish boutiques fill every nook-and-cranny along Hayes Street, a hub of designer shops and galleries that still manage to retain a local community feel. Haight-Ashbury: Think vintage clothing, smoke shops, independent bookstores, and loads of tie-dye and Tibetan wares. Haight Street is also home to the massive Amoeba Records, a former bowling alley turned-music hub that attracts visitors in droves. Chinatown: Kitschy souvenirs, Maneki Neko (waving cats), intricate kites, and bags of freshly made fortune cookies amid one of San Francisco's most tourist-friendly neighborhoods. Not only is SF a walking city, but its public transit makes jumping from one neighborhood to the next incredible easy. MUNI trains and buses connect most neighborhoods, and both UBER and Lyft are rampant citywide. Many of the neighborhoods also feature Ford GoBikes, though it's best to first check online what areas have them available both for picking up and dropping off.